Recently my love for Instagram was taken to a whole new level when I learned about StickyGram. 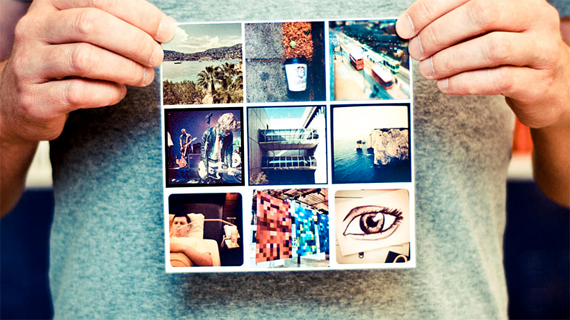 In a couple of quick and easy steps, you can turn your Instagram photos into magnets! A good portion of my refrigerator has been transformed, and if all goes my way, the whole thing will eventually be covered (along with every other metal surface in my house!). I love getting to see pictures of things and people I love all lined up every time I go into the kitchen. 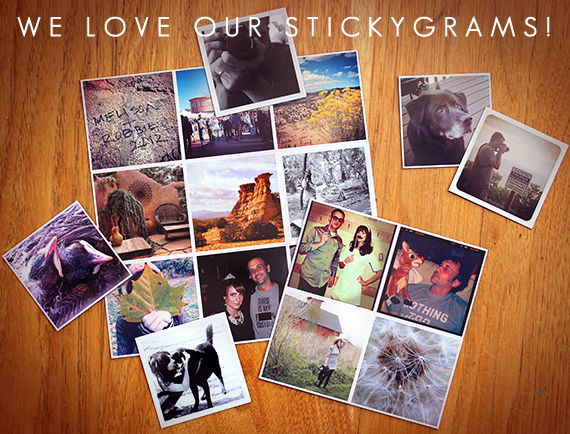 And now, thanks to the rad folks over at StickyGram, you can win your very own set! Three Bubby and Bean readers will each get a set of nine StickyGrams to display in your home or office. To enter, just tell me where you would display your set of StickyGrams if you were a winner. That's it! This giveaway is open through March 18th and is open to all Bubby and Bean readers worldwide. The winner's name will be randomly chosen and announced shortly after. Thank you again to StickyGram for offering our readers the chance to win a set of their amazing magnets! Check back tomorrow to see who won the Gentle Souls Shoes giveaway! I'd put the Stickygrams up in my cube at work. Totally cute! I would put them on my fridge, I need magnets + pictures of my friends! I followed stickygram on twitter! I followed stickygram on pinterest! I would put my stickygrams all over my dorm room refrigerator! Would display em all over my house! ON my fridge, mantle, doors, closet & also in my office. i would put in on my fridge; they're super cute! I would put my stickygrams on a canvas and display out in my living room. I follow stickygram on Pinterest, too! I follow StickyGram on Instagram!! I would love to print some pictures of my baby girl to put on my locker at work, it would make the separation more bearable. I follow StickyGram on twitter! I follow StickyGram on instagram! My fridge needs a serious makeover, and Sticky Grams would be so perfect! I tweeted the tweet using @pilchen33! Unfortunately I don't use Instagram, but these are really cool! You'll have 3 lucky winners! I would put them on my fridge and my metal filing cabinet!!! I follow Stickygram on Pinterest!!! How cool are these!? I'd totally cover the file cabinet by my desk in the magnets! I like Stickygram on FB as Katy M.
I follow them on Pinterest as @katygmorris. I follow them on Instagram as @katygmorris. Definitely all over my fridge! with the smoke сhamber pгеviously mentioned. Rishis who ended up ωell-known foг their penance and аusterities. I like Stickygram on Facebook. I would LOVE more stickygrams for my frdge - this is my first year in college and my apartment needs some serious sprucing up! I just got a new job so I would display them at work :) my office desperately needs some decoration! aaand following stickygram on pinterest. If I won this, I would actually give it as a gift to the parents of the children I nanny. I post pictures of their kids occasionally (I try to keep it to a minimum, and have their ok!) and it would be a great way to share our time with them. I would put them all over my studio! I like SG on Facebook! If I win, I would give the prize to my daughter (because I'm not on Instagram yet). =0) I'm sure she would take over the front of our fridge! I liked StickyGram on fb and commented under your wall post! They would be on my fridge and also on my big metal display board! Liked Sticky Gram on FB! I would put it on my school locker! I love magnets! I would definitely put them on my fridge. Thanks for the giveaway! I'll put the Stickygrams right by my friend's hospital bed (the headboard's made of metal) so she'll always know we are right there with her! I would put my StickyGrams on my fridge- I just moved into a new apartment and it would help brighten up the kitchen to have them there! I follow StickyGram on Facebook! I would display them on our fridge! I would display them in my room! I would put some on my fridge at home AND on my filing cabinet at work! I would put the StickyGrams with my magnetic poetry in my cubicle! Need to have words+pictures together! i love stickygram! i'd put them all over my fridge. i like stickgram on facebook. 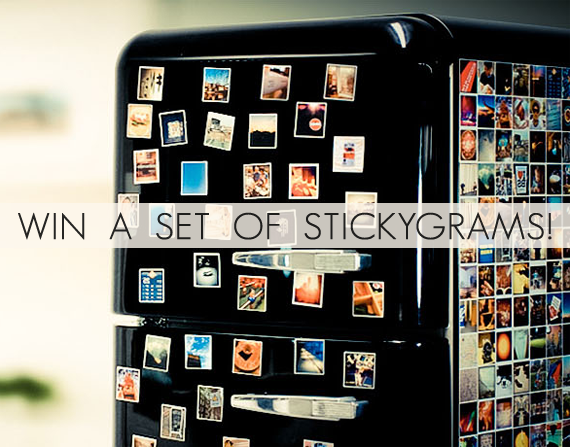 If I won I would display my StickyGrams on the fridge of course! On my file cabinets at work to brighten my office! I would display my sticky grams at work and in my car! I need a little reminder of happy everywhere I go lately! Sticky Grams on my fridge of course! I would put them on my fridge!